← Thank you Mandeville Special Collections Library! Illustrations are a way that many letter-writers insert additional commentary between the lines of their scribbling. Drawings may serve to enhance what the letter-writer is conveying to their reader, or may be simply the doodles of a mind drifting elsewhere, or in rare cases the thoughtful sketches that lead to publication (as was the case with Beatrix Potter, whose epistolary inventions became the basis of such beloved works as The Tale of Peter Rabbit and The Tale of Squirrel Nutkin). 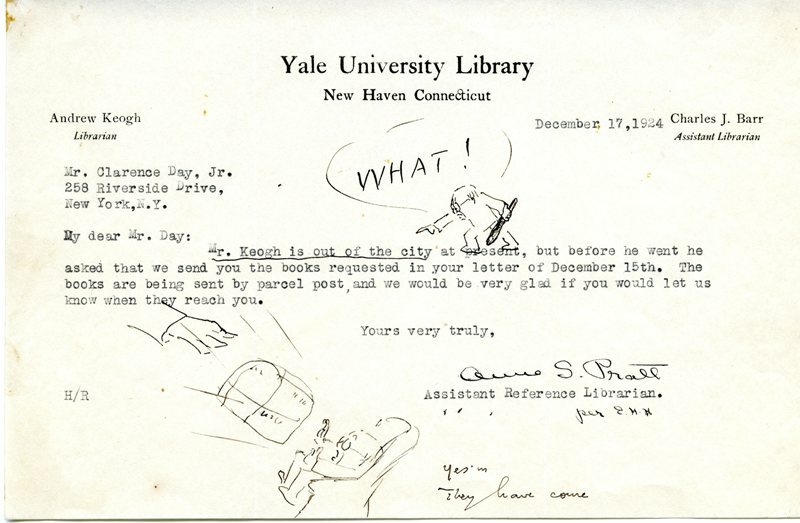 Clarence Day, an American author, illustrator, and humorist, decorated his correspondence with playful cartoons, which often poked fun at himself or the letter writer (as in the examples below, where Day teases librarians at Yale University). Clarence Day Collection. 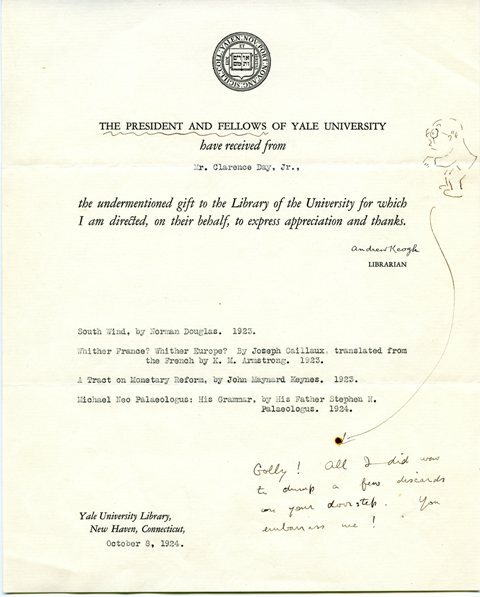 Yale Collection of American Literature, Beinecke Rare Book and Manuscript Library.